The Ents (?) 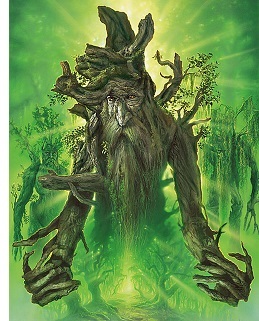 - The Ents are amongst the oldest living things in Arda. It's not exactly clear when they were created, but created they were by Eru (Ilúvatar) at the behest of Yavanna in order to protect them from other creatures, particularly the Dwarves who had been created by Aulë. And so long were their lives that some of them survived even into the Third Age of the World. By the Third Age their existence was thought to be a myth.